The airplane was at 1,600 feet mean sea level with the engine power set at 2,300 rpm. When the airplane was about 6 miles from the airport, the pilot heard a loud “boom” and the engine lost all power. 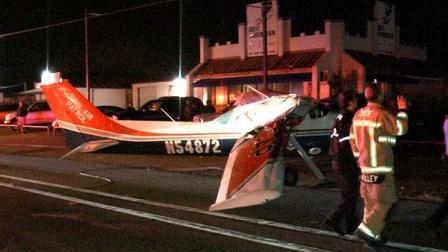 The pilot did not have sufficient altitude to glide to the airport, so he landed the airplane on a street. When the airplane was on final approach to land, it collided with power lines. The pilot was able to land the airplane, but was forced to swerve to the right to avoid oncoming traffic. The right wing struck a utility pole, which resulted in substantial damage. A postaccident engine examination revealed that when the crankshaft was turned, there was no movement of the intake or exhaust valves or magneto gears. The rear crank gear bolt was loose and the gear dowel pin was sheared, which would cause the camshaft and rear accessory gears to stop turning. Metallurgical examination revealed beach markings at the aft end of the crankshaft approximately in plane with the aft face of the crankshaft where it mated to the crankshaft gear. There was fretting damage on the crankshaft gear, wear on the dowel pins, and wear on the lock washer, indicative of movement as a result of insufficient clamping force from the attachment bolt at the time of installation. The engine had accrued 752 hours since it was overhauled in August 2007. Failure of the rear crankshaft gear dowel pin due to improper installation, which resulted in a total loss of engine power. 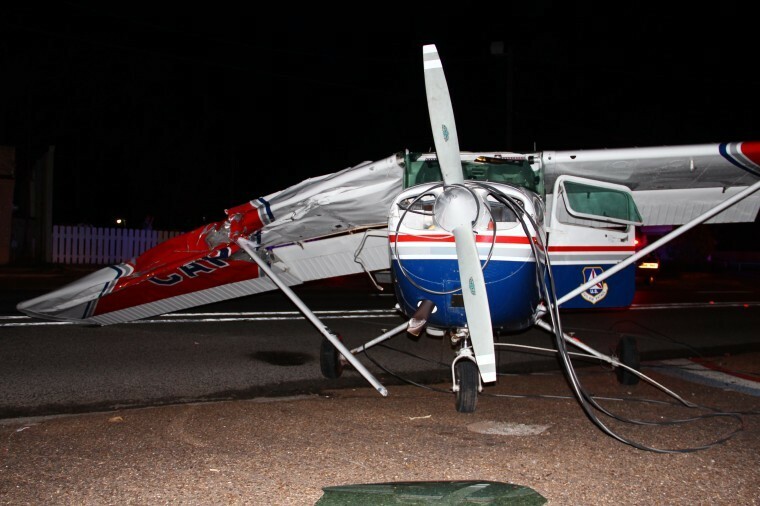 On January 3, 2012, about 2145 central standards time, the pilot of a Cessna 172P, N54872, made a forced landing on a street in Conroe, Texas, after the engine lost power. The pilot, the sole occupant on board, was not injured. The public use airplane was substantially damaged. The airplane was registered to and operated by the Civil Air Patrol (CAP), Maxwell AFB, Alabama, as CAP flight 4272. Dark night visual meteorological conditions (VMC) prevailed at the time of the accident, and a company flight plan had been filed. The flight originated from the West Houston Airport (KIWS), Houston, Texas, approximately 2120, and was en route to Lone Star Executive Airport (KCXO), Conroe, Texas. According to the pilot’s statement, engine power was set at 2300 rpm (revolutions per minute) and the airplane was at 1,600 feet msl (mean sea level). When the airplane was about 6 miles from the destination airport, the pilot heard a loud “boom” and the engine lost all power. The pilot did not have sufficient altitude to glide to the airport and landed on Highway 105 and North 6th Street in Conroe, Texas. When the airplane was on final approach, it collided with power lines. The pilot was able to land the airplane, but was forced to swerve to the right to avoid oncoming traffic. The airplane struck a curb and spun around. The right wing struck a utility pole, resulting in substantial damage. On January 24, the engine was disassembled and examined under the direction of a Federal Aviation Administration (FAA) inspector at the facilities of Fritz Aviation in Fredericksburg, Texas. CAP records indicate the engine had accrued 752 hours since it was overhauled in August 2007. When the crankshaft was turned, no movement of the intake or exhaust valves or magneto gears was observed. Upon removal of the rear accessory case, it was discovered that the rear crank gear bolt was loose and the gear dowel pin (part number STD 1065) was sheared. According to the FAA inspector, there was a line on the dowel pin, similar to a pre-existing crack. According to the attending mechanic’s report, the sheared dowel pin would cause the camshaft and rear accessory gears to stop turning. The crankshaft gear, attachment bolt, and crankshaft dowel pin were submitted to the National Transportation Safety Board’s Materials Laboratory for examination. According their report, the dowel pin was fractured from the aft end of the crankshaft approximately in plane with the aft face of the crankshaft where it mated to the crankshaft gear. Magnified optical examination of the dowel pin fracture revealed a relatively flat transverse fracture with beach markings indicative of fatigue progression initiating at two locations on opposing sides on the outer diameter of the dowel pin. The fatigue region emanating from the origin area (primary origin area) was substantially larger than that emanating from the upper side. The cylinder faces of the dowel pin appeared relatively smooth and reflective consistent with wear of the original surfaces. The wear was present around most of the dowel pin periphery. The dowel pin’s diameter was reduced an estimated 0.005 inch by wear adjacent to the fatigue origin leaving a visible step. The crankshaft gear exhibited fretting damage on the forward face consistent with relative motion at the gear-to-crankshaft interface. The lock washer on the aft side of the crankshaft gear showed wear damage corresponding to contact with the underside of the attachment bolt head. CONROE, TX (KTRK) -- A plane made an emergency landing in the streets of downtown Conroe, according to the Conroe Police Department. The incident happened at around 9:50pm Tuesday at 6th Street at Davis. The pilot has less 100 hours of flying time and has only had her pilot license for about three months when she came face to face with an emergency no pilot ever wants to see. Officials say 22-year-old Sarah Chantal Rovner took off last night from West Houston Airport on assignment with the Civil Air Patrol. About six miles out her plane lost power. At first Rovner hoped to glide back to the airport, but the plane was not going to make it. So Rovner decided to land on East Davis Street in Conroe. Once she touched down Rovner's plane hit a small power line, then after turning onto 6th Street the plane knocked down a sign. The wing was sheared off after she moved out of the way of an oncoming car. "The one thing that I would say is that I'm looking forward to flying with her," said Lt. Col. Bob Beeley with the Civil Air Patrol. "She is an excellent pilot. She did a good job. She did what she was trained to do." The plane belongs to the Air Force and will be turned over to the insurance company. Investigators still don't know why her engine lost power. Officials at the scene of an emergency landing Tuesday night say the pilot is lucky to be alive. 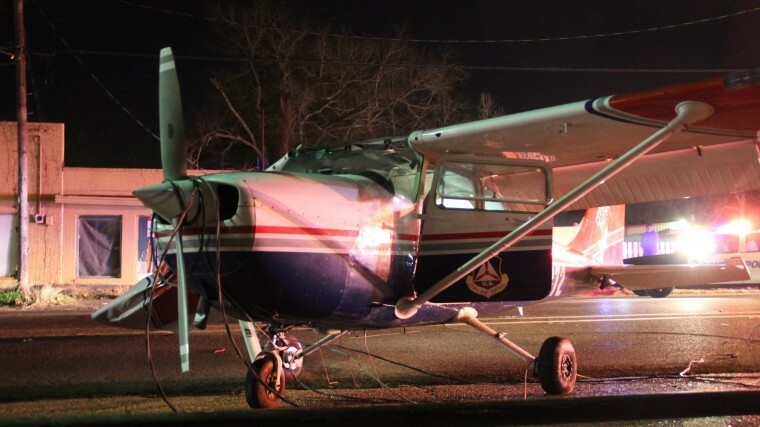 Sarah Chantal Rovner, 22, of Houston made an emergency landing on Davis Street in Conroe when the single-engine Civil Air Patrol aircraft she was piloting developed mechanical problems. 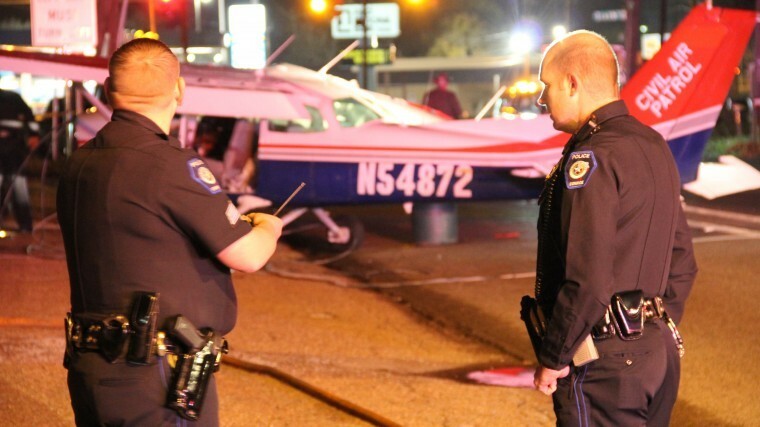 The plane went down around 9:30 p.m.
Rovner brought the plane down near the intersection of Davis and Sixth Street, clipping a power line. There were no injuries related to the emergency landing and minor damage to the aircraft, although emergency response teams were called to address fuel leaking from the aircraft. The FAA Registry database listed Civil Air Patrol Inc. as the registered owner of the plane.